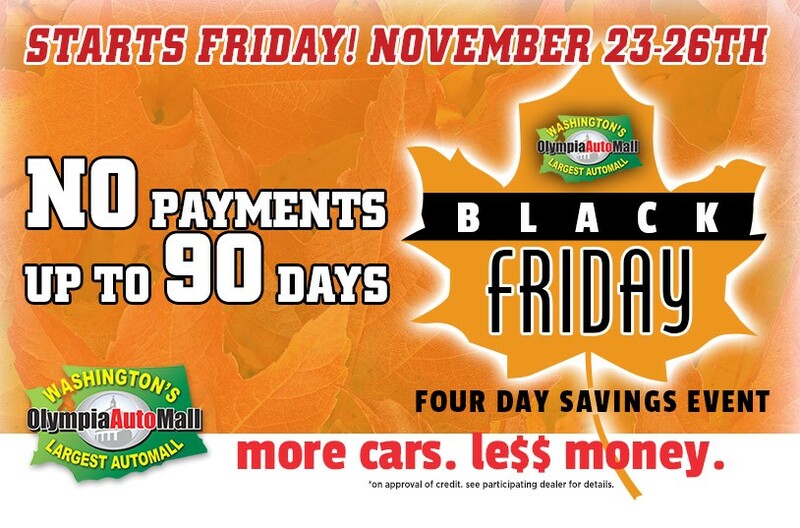 The Black Friday event at the Olympia Auto Mall starts Friday November 23. 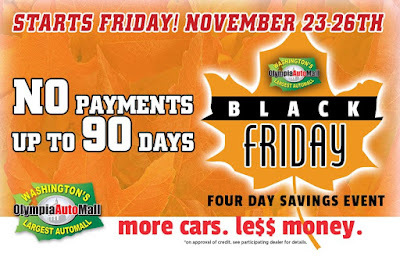 This four-day savings event includes special financing – No payments for up to 90 days. Don’t miss this amazing car sales event at the Olympia Auto Mall.